Before any ventricular assist device is implanted in the clinical setting, it has undergone significant in vitro and in vivo testing, including preclinical animal implant experiments. Nevertheless, even though the efficacy, reliability, and performance of these devices would be well understood, unexpected adverse events could be observed in the clinical setting. As the various types of ventricular assist devices are introduced in a clinical setting, the initial target population should be individuals who could actually benefit from such a therapy with a minimal risk of adverse events from the device itself. Thus, the most logical place to start is with patients who are at imminent risk of death while waiting for a heart transplant. The risk/ benefit ratio seems to favor implantation of such experimental ventricular assist devices as a salvage procedure; that is, the duration of ventricular assist device support would be finite and short term, until a donor heart became available. A prospective trial utilizing such a setting was conducted by Frazier et al. 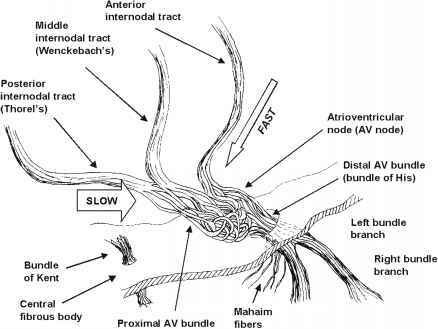 (7), and therapeutic benefit of the ventricular assist device as a bridge to a heart transplant was documented. This trial resulted in approved application of such a device as a bridge therapy to heart transplant. The number of patients on heart transplant lists can be considered relatively few, compared with the many patients with conditions similar to end-stage heart failure. Nevertheless, because of the limited number of donor hearts available in the United States, many patients are denied a chance at heart replacement therapy. Therefore, the next logical clinical consideration for patients with advanced heart failure is, "Can a ventricular assist device be used to improve longevity and quality of life and not merely as a bridge to a transplant (that is, as a means to an end)?" This question was originally asked in the 1960s when the National Institutes of Health sponsored a research project on the totally artificial heart. Clearly, this question remains at center stage for any development of a circulatory support system. More specifically, with accumulated experience from the HeartMate-VE system as a bridge to a heart transplant, answers to that question were sought through the Randomized Evaluation of Mechanical Assistance for the Treatment of Congestive Heart Failure (REMATCH) trial under the leadership of Dr. Eric Rose (8). That prospective randomized clinical trial compared the survival outcomes in patients with advanced heart failure who received optimal medical management vs undergoing ventricular assist device implantation. The trial enrolled 129 patients and demonstrated statistically significant benefits at 1 and 2 yr. Importantly, the ventricular assist device group had about twice the survival rate of the optimal medical management group (9). Nearly all mortality in the optimal medical management group was caused by advanced heart failure. However, infection and device failure accounted for about 60% of the mortality in the ventricular assist device group. Yet, it is considered that both of these complications could be reduced significantly over time. The REMATCH trial clearly documented efficacy of the ventricular assist device in an evidence-based manner and set the stage for expanded indication of device implantation in the clinical setting. The FDA has now approved the Heartmate-VE as a destination therapy device to treat end-stage heart failure patients "as a means to an end." Such approval should encourage new device development, which in turn should advance the field significantly over time and improve the quality of life and survival rate of patients with advanced heart failure symptoms (Fig. 5). It should be noted that one of the axial flow pump devices, the DeBakey ventricular assist device by Micromed Technology, Inc. (Houston TX), is currently undergoing a clinical trial to test its efficacy as a bridge to a heart transplant device (10). It is anticipated that many more new and different models of device systems will be evaluated in the near future in similar clinical settings.